Taxus baccata Fastigiata Aureomarginata is a bushy, upright evergreen tree, with stiff ascending branches, which broaden as it matures. 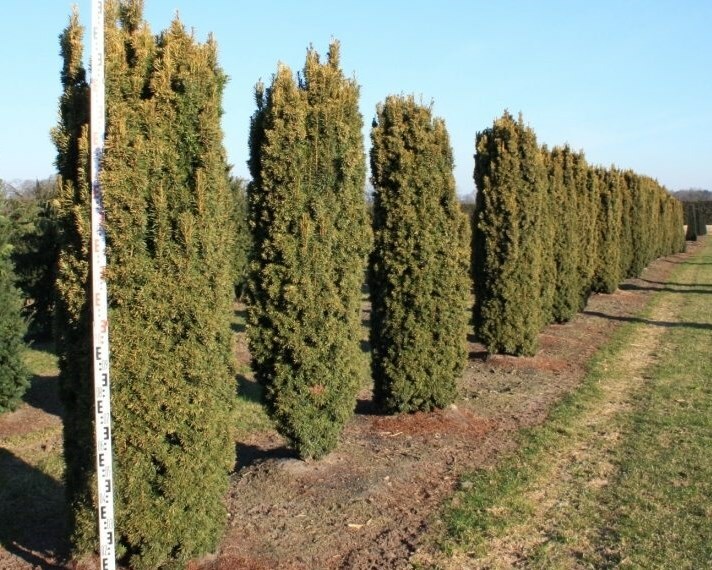 Golden Irish Yew has golden foliage, which is most pronounced in the spring and the sunnier its position the brighter yellow its foliage. It is a very versatile plant, thriving on most free draining soils and tolerant of shade which can be used to great effect with its light coloured foliage contrasting against darker areas of the garden. It grows in any well-drained soil; and is tolerant of exposure and urban pollution.